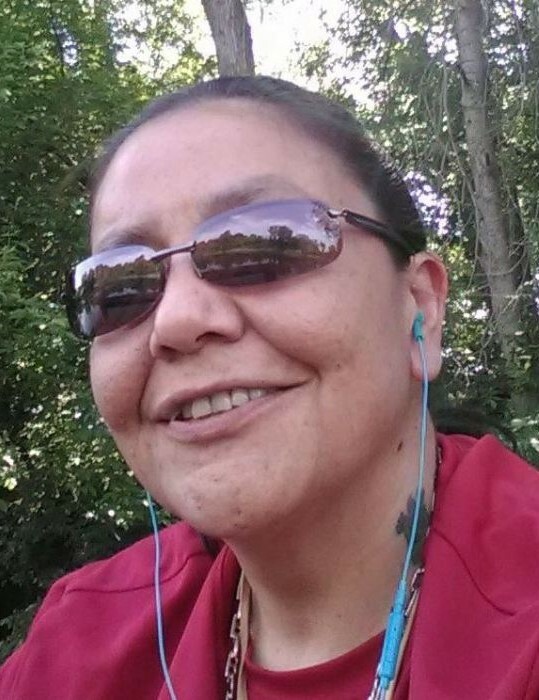 April S. Cross, 41, of Charlevoix, passed away in Milwaukee, WI on Wednesday, March 27, 2019. April was born on April 11, 1977 in Chicago, IL, the daughter of Anna Marie Kewagshken and John Thomas Cross. She liked playing basketball, partaking in tribal rituals, and she loved walking out in the countryside, or sitting at the lakeside in the evening to enjoy the peace of nature. She will be fondly remembered for her big smile, and her even bigger heart. She is survived by her daughter, Jamie Marie Cross George, of Charlevoix; her mother, Anna Marie Smith, of Charlevoix, and her father, Gary James Smith, of Charlevoix; 3 brothers, James Hershel Kewagshken Sr., of Charlevoix, Gary Reiser, of South Dakota, and Justin James Brown, of Maryland; 2 sisters, Kimberly June Smith, and Linda Marie Smith; and several nieces and nephews. She was preceded in death by her sister, Marlene Ann Kewagshken; her grandmother, Betty Lou Kewagshken; and her biological father, John Cross. Funeral Services will be held on Tuesday, April 2, 2019 at 1:00 p.m. at the Charlevoix Chapel of Mortensen Funeral Homes with Pastor Sam McClellan officiating. Visitation will be from noon until the time of service. In lieu of flowers, contributions may be made to the family. Arrangements have been handled by the Charlevoix Chapel of Mortensen Funeral Homes.